Have you been wanting to make one of the tubular projects? Here’s your chance, but you have a choice! 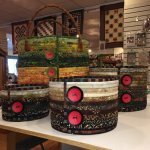 Make either a Camden Bag or Camden bowl! They are made the same way! These are beautiful zig zag stitched projects with no shaping! Both are simply made from a rectangle for the sides and a circle/oval for the bottom. Both patterns provide different sizes. 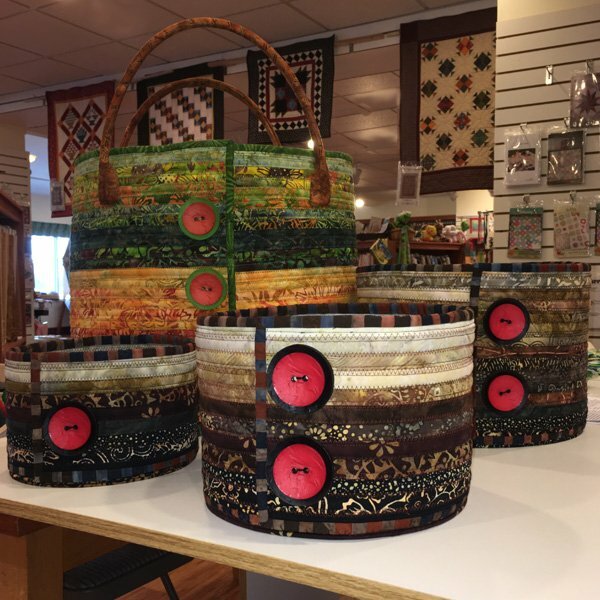 Let Sharleen show you the way to a beautiful finished bag or a useful AND decorative storage container.